2019 is set to be an exciting year for the Smiles Foundation, as we launch the first Summer Camps at our new Dezna Outreach Centre. 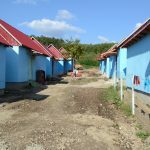 Located in the heart of the Apuseni Mountains, near Moneasa in Arad County (NW Romania) the Dezna Outreach Centre is the culmination of many years of vision and hard work and finally, the dream will become reality as children, youth and adults are able to attend CAMPs or RETREATs which start June 29th, 2019. Games, Sports & Fun – Mountain Hikes, Competitions & Bible Study – all within the beautiful fresh air offered at our premium facility in Dezna. 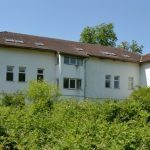 The ‘motto’ for Dezna Outreach Centre stipulates the clear vision and purpose of the facility: ‘Growing & Learning together to Serve Christ by Serving Others’ Camps will be able to operate weekly from June 29th, 2019 and we hope to have teams from Romania as well as the UK and even America. Camps can be for 5, 7 or 10 days. 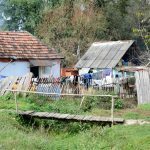 They can be fully organised by the Smiles Team of experienced staff, or we can work in partnership with leaders of a group coming to stay in Dezna. The facilities are first class with full kitchen and staff, lounge and activity area in the main building. First floor accommodation for up to 36 campers in 9 rooms of four (2 x bunk beds) with a total of 4 full bathrooms plus 2 additional toilets. Second floor accommodation caters for up to a further 18 people (9 x twin rooms), for mature youth campers or staff and leaders – with a total of 6 full bathrooms plus 2 additional toilets. Huge grounds outside plus a sports field within walking distance and large swimming pool is just 7km away. Internet available at the facility and cinema projection system in the large meeting lounge. 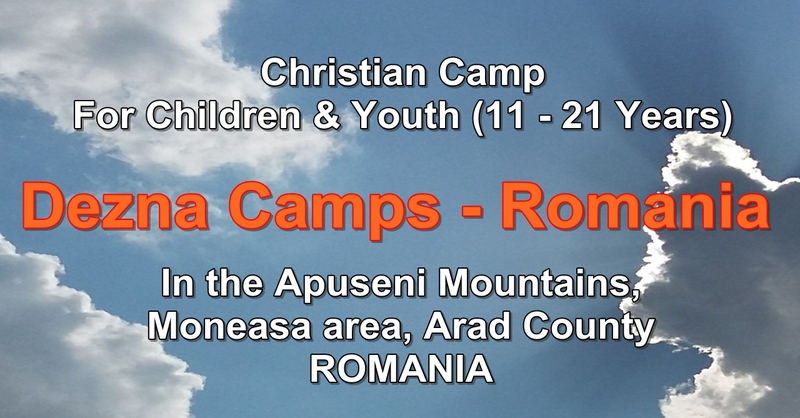 Dezna Camps or Retreat Centre is the perfect answer to your needs for Children, Youth or Adult Mission. Also, if you are interested in volunteering at the Camp, please write to us for further details.